If you’re not Italian you might never have heard of Lake Iseo, or Lago d’Iseo as the locals call it, before now – but this hidden jewel is not one to be ignored. 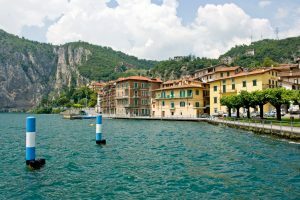 Nestled in between the larger tourist hotspots of Lake Garda and Lake Como, Lake Iseo (pronounced e-say-oh) is often overlooked by both international holidaymakers and Italian lakeside property hunters. Our message to them is that they are missing out! 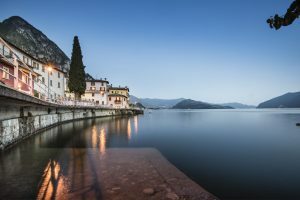 So much so in fact, we’ve decided to run down our top reasons why Lake Iseo is the best Lake to live on in North Italy! Lake Iseo has been a favourite holiday destination for natives for many years. With its beautiful views and authentically Italian towns, Lake Iseo is the best-kept secret of the Lombardy region. Unlike the neighbouring tourist magnet of Lake Garda and celebrity hangout of Lake Como, Lake Iseo is nearly untouched by the outside world and remains quiet even during peak holiday season – making it the perfect site for a truly Italian living experience. This is especially true if you don’t like the idea of your new home being mobbed by tourists once a year! Properties on Lake Iseo are spread around many different settlements on each shore of the 25km lake. 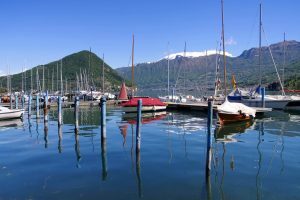 The largest of these are the Southern towns of Sarnico and Iseo itself – where life is a little more bustling – but smaller, quieter locales such as Riva di Solto and Lovere towards the north of the lake have their fair share of the good life to offer too. With Iseo being a less popular property location than Garda and Como (at least for the moment!) it’s also possible to find affordable properties right on the lakeside! Something you won’t find at Lake Iseo’s nearby cousins. Travel around the lake is simple thanks to the lake’s own ferry services and the road that’s been carved into the lake’s scenic mountainsides – there’s also a train line that runs up and down the eastern shoreline. The nearest airport can be found in Bergamo, which offers daily international flights and is just 25 minutes from the lake by car – making Lake Iseo a great place for those who plan to travel from London (or anywhere else) to Lombardy and back regularly. The town of Iseo is also just over an hour by train to Milan for when you need that taste of city life. If travel further afield is more you’re thing, you’re also within easy travel distance of Brescia, Verona and Switzerland! Lake Iseo is home to Great Wine! Lake Iseo and the nearby Franciacorta region is home to a large amount of vineyards, all of which specialise in a sparkling wine that many say is on par with the French Champagne that inspired it. When you think Italian sparkling wine you may think of Prosecco, but Franciacorta is a more complex wine; drier and without the overt fruitiness of the more popular tipple. The region features many wine-bars and open vineyards to visit – as well as a number of quality wine shops to help ensure your cellar remains well stocked. Great food is a given when in Italy, but Lake Iseo is even special for Italy. Iseo is home to, what is described as, “an unusually high concentration” of Michelin-starred restaurants, including the modern fusion hotspot of Due Colombe and the three-starred seafood restaurant Da Vittorio. Lake Iseo offers a myriad of lake front restaurants that serve some of the freshest, tastiest fish anywhere in Italy – often cooked in local olive oil from Marone. Lake Iseo is the ideal spot for those looking for a new home in Italy. While Lake Como and Lake Garda might get all the attention, they don’t offer the peace, romance and charm that Lake Iseo does. Imagine a peaceful sunset with a bottle of local fizz and plate of seafood lasagne sound-tracked only by the gentle lapping of the lake. This is what Lago d’Iseo has to offer – something that nowhere else in Italy can. At Dreamhomes we offer a wide range of properties in the Lake Iseo region – Browse our selection today!